Does the system care enough for kids in care? AROUND 2,600 children and young people are currently living in care in Northern Ireland. These children have long been recognised as among any population’s most vulnerable – but a report out today shows the system persistently struggling to give such children here the “parenting” into adulthood they so desperately need. The Detail has also established that a key target aimed at meeting their educational needs has been missed. Children in care are known to be at greater risk of poor health, low educational achievement, mental health problems, substance misuse, teenage pregnancy and involvement in crime than their peers living in more traditional family units. 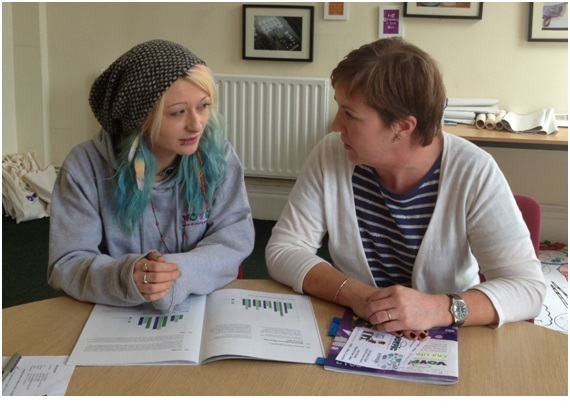 Care leavers are also over-represented in the population of people who are homeless and at greater risk of not being in education, employment or training. One stark statistic is that only 19% of care leavers aged 16 to 18 left school in 2012 with five GCSEs at grades A* to C – compared to 73% of the general school population. These sorts of outcomes have led to a growing acceptance that the years these children spend living in care need to involve additional support and that extra attention needs to be paid when they come of age and leave the care system. One such measure agreed in Northern Ireland in 2011 by both the departments of health and education was for the introduction of personal education plans (PEPs) for all looked after children. In response to a written Assembly question in May 2012, Education Minister John O’Dowd confirmed that a timetable agreed by the Health and Social Care Board was that all looked after children and young people should have a PEP in place by June 1 2013. However, The Detail can confirm today that this target has not been met. The reality is that we cannot even tell you how many PEPs – if any – have been completed. The importance of having good educational opportunities is just one of the issues addressed in a new report launched in Belfast today by VOYPIC (Voice of Young People in Care). 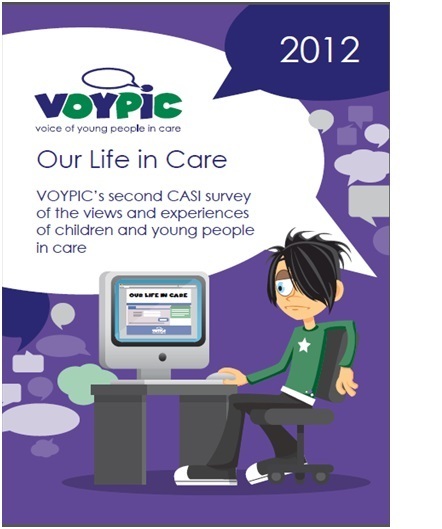 The Our Life in Care report is based on a 2012 survey of 156 children and young people living in care and is the second survey of its kind undertaken by VOYPIC . The most important issues identified by the children and young people via the survey were contact with families, support and placement. In a foreword to the report, Vivian McConvey, chief executive officer at VOYPIC, said: “The findings suggest that some children and young people are not getting the level of service and support they are entitled to and eligible for. In an interview with The Detail, Eithne Gilligan, acting assistant director of policy at VOYPIC, said: “I think there is growing awareness of this small but critical number of young people in our population. “The numbers are not so great that resources could not be put in to help them. We cannot just write these kids off. Today, we also report on one young person’s experience of living in care in Northern Ireland. Lorna (20) went into care when she was 14 and lived in both foster care and in a children’s home. She said: “This service is so important because it is people’s lives and children being brought up by health trusts. To read Lorna’s story as told to The Detail, click here. Of the 156 children surveyed by VOYPIC for Our Life in Care in 2012, 28% were aged 8 to 11, 49% were aged between 12 and 15 and 24% were aged 16-18. Nearly half (47%) had been in care for over five years; 41% had been in care for one to five years and 12% had been living in care for under 12 months. The majority (73%) of survey participants were living in foster care (46% identified placement as foster care and 27% identified as kinship care). Almost a quarter (23%) were living in residential care while a very small number were in care at home (2%) and in other placement types (2%). Over a quarter (29%) had been in their placement for more than five years – but 20% had changed placement once or twice in the previous year. The Children (NI) Order 1995 outlines the right of a child or young person in care to have contact with their birth parent(s) and their wider family circle. VOYPIC says that contact provides an understanding of background and identity and can improve psychological well being. However, they also say it is a complex issue and priority must be given to safety and the best interests of the child. Careful care planning and regular review is vital to ensure that children enjoy beneficial contact or understand the reasons for no or limited contact. Of the survey participants, 60% said they are able to keep in touch with their family as much as they want. However, this leaves over a third of survey participants who say they are unable to keep in touch as much as they want. Just over half (55%) are able to stay overnight with friends or family. The Care Inquiry was set up in England in early 2012 and reported to government in April 2013. 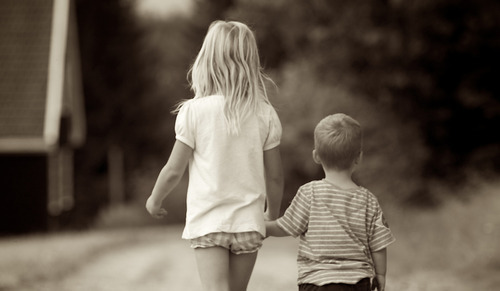 It identified relationships as the “golden thread” in the lives of children in care. The relationship between a young person in care and their social worker is crucial and was explored in the Northern Ireland survey. Only half (49%) of participants aged 8 to 11 said they could talk to their social worker about what was happening in their life. However, a significant majority (96%) reported that they have an adult they can trust and 93% had an adult they could go to if they needed help or were upset. Of those surveyed by VOYPIC, 85% knew why they were in care and 67% felt they knew enough about their family history with the remaining third answering “not really” or” not at all”. There is growing interest and practice in developing knowledge of family history and life story books for children in care. The survey found 64% said they do not have enough or “nothing at all” in relation to a life story book. Each health trust is the corporate parent for looked after children and is responsible for ensuring that their needs are met through a care plan which is reviewed every six months at a Looked After Child (LAC) review meeting. Only 44% of those surveyed know what their care plan is and 54% said someone had spoken to them about what is in their care plan. Social workers play a critical role in care planning. The survey shows that 44% of the children and young people have had four or more social workers since coming into care; 90% see their current social worker once a month or more often. Under leaving care legislation, preparation for adulthood should begin prior to a child’s 16th birthday. This includes the right to a needs assessment, pathway plan and personal advisor (PA) alongside social work support. The children aged between 16 and 18 were asked about these issues. Nineteen percent didn’t know “at all” about their pathway plan, only 24% have a copy of their pathway plan and just a quarter “completely agree” with decisions in their plan. Only 35% felt they could talk to their PA about what is happening in their life. HSCB statistics show that as of 31 March 2012 there were 392 ‘eligible’ young people still in care who could access the leaving care service. Of them, 130 (33%) did not have a personal advisor and 36 did not have an up-to-date pathway plan. VOYPIC’s Eithne Gilligan said: “We see a lot of mid-teens coming into care. Accommodation and the risk of homelessness is a real concern with this group. “If we only have a couple of years to protect and support a child, we need to get it right very quickly. Of the survey participants, 97% are currently in education, training or employment; 76% never miss or “dodge” school; 14% of over 12s had been out of school for more than three months and 64% of them got help to return. The HSCB found that 3.4% of looked after children had been suspended or expelled during the school year ending June 2011. This is almost double the number (1.75%) of young people in the general population who were suspended or expelled that year. We asked the HSCB for an update on the target to ensure every eligible young person living in care had a PEP in place by June 1 2013. They do not apply to pre-school or post-school children or those in respite care. The HSCB said that as of May 2013, 1,625 eligible looked after children “had PEPs either started or completed” but at this time the board could not tell us how many – if any – have actually been completed. We were told that it would be next week before this breakdown could be provided by the health trusts. A spokeswoman for the HSCB said: “Given the large number of looked after children who would be eligible, the ongoing dates for Looked After Reviews and the associated extra work for social workers and teachers, it was agreed that this would be a rolling process. “The completion of PEPs can be made more complex by children going in and out of care and also involves the co-operation of parents which is not always available. “Social workers will try very hard to achieve the co-operation of parents, but will ensure that where that is not forthcoming, children’s needs will be prioritised to ensure that a Personal Education Plan is started. The spokeswoman provided the following figures. We are still awaiting the names of the trusts concerned. One trust had all its eligible Looked After Children’s PEPs either started or completed. This was 496 children. Two trusts had 380 and 246 PEPs started or completed with 33 and 14 PEPs outstanding. Two trusts had 324 and 179 PEPs stared or completed but have not yet provided information on the number outstanding. Ms Gilligan said: “There should not be a one and only chance at education before you turn 18. “There is a need to maintain support even after leaving care to make up for what has been lost and extra support if that child wants to sit their A-levels and go on to university. “There is a case for longer term support past the age of 18 because of what is lost before the age of 18 for children in care. That is why it makes sense to have the PEP tailored for each child. “Some children may be missing school for sound reasons but if they are dodging school, what is being done to get them back in? We asked Education Minister John O’Dowd to comment on the Personal Education Plans. He said: “The Care Matters Strategy, which aims to improve support for children in care, was endorsed by the Executive in 2009. “One of the recommended actions was the introduction of a Personal Education Plan (PEP) for each Looked After Child with the purpose of improving educational outcomes. The VOYPIC report concludes with a series of recommendations. These include that all children and young people in care should be encouraged and supported to contribute to the development and review of their care plan and pathway plan. The organisation also says that the complex issue of contact should be researched through a comprehensive, long-term study into practice, impact and outcomes for children in care. The report concludes that there should be more data analysis on multiple placement moves, the reason for them and the impact and outcomes for children and young people. VOYPIC also calls on the departments of health and education to publish a joint progress report on the introduction and management of PEPS.